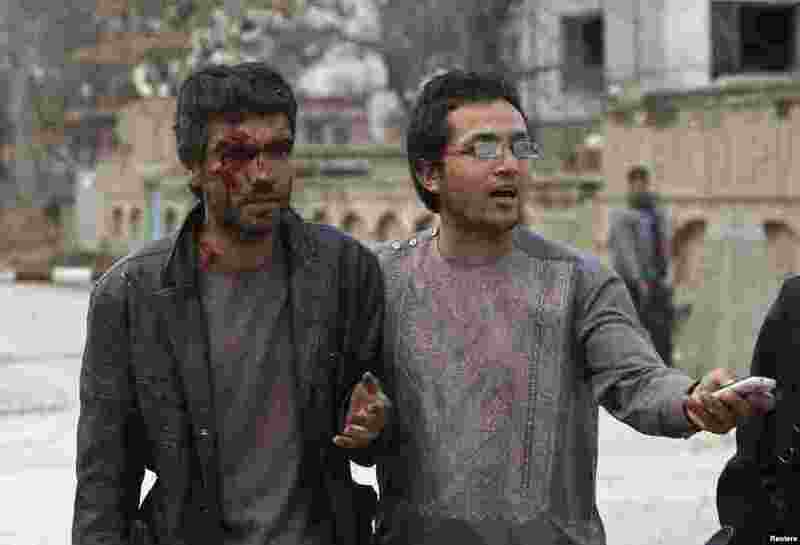 1 An Afghan man helps an injured man at the site of an attack in Kabul, March 28, 2014. 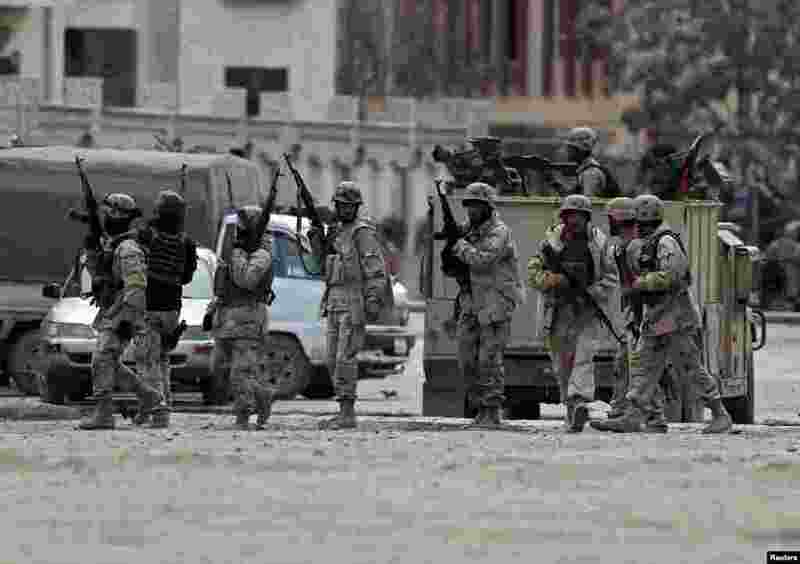 2 Afghan police arrive at the site of an attack in Kabul, March 28, 2014. 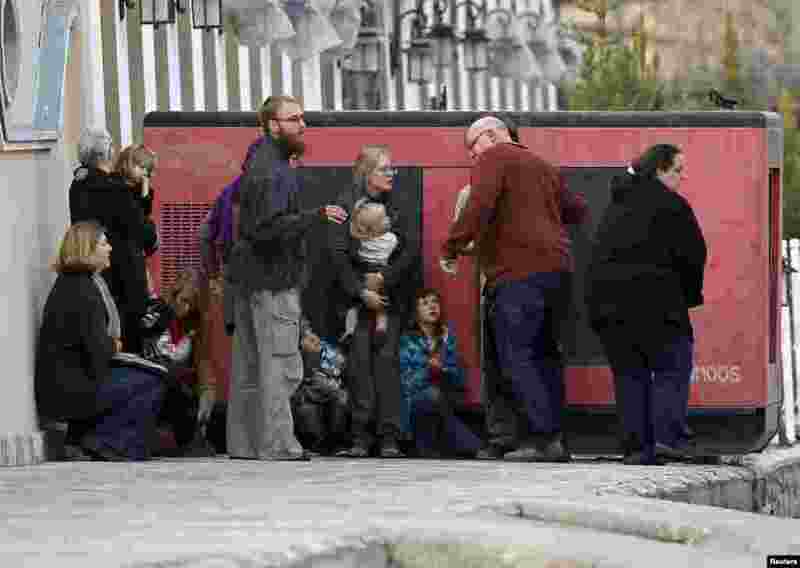 3 Foreigners evacuated by police from the site of an attack in Kabul, March 28, 2014. 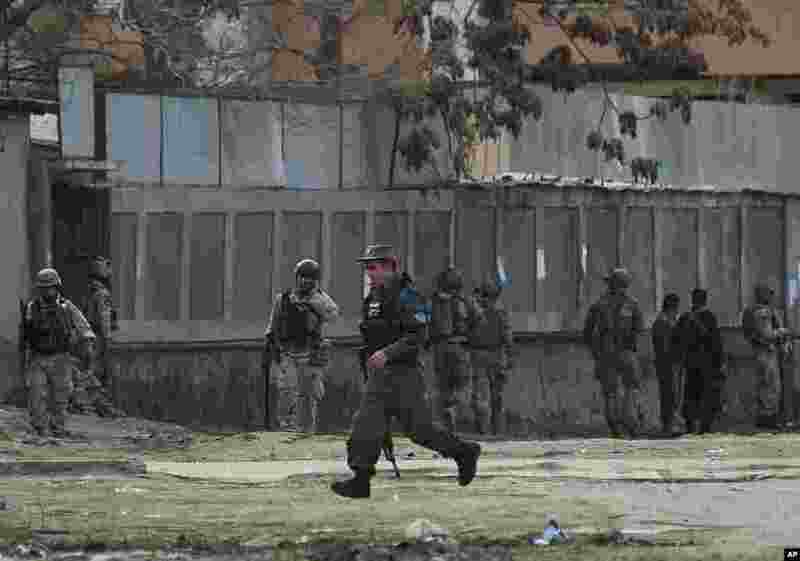 4 Afghan police and special forces surround the area after suicide bombers armed with assault rifles and hand grenades attacked a guesthouse used by foreigners in Kabul, March 28, 2014.